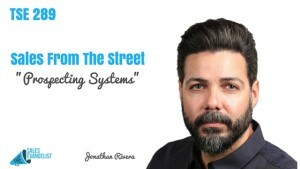 Today, we have Jonathan Rivera on the show as we drill into the power of having a lead generation system in place. Jonathan left his 9-year career as an electrician realizing that it’s not what he wanted to do. 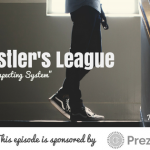 So he jumped into the real estate world where he made some gains and losses but most importantly, gained valuable lessons that he hopes to share with us today where he is having a four-hour work week with his real estate business (actually even less) primarily because of having a system that works. Additionally, Jonathan is the host of The Podcast Factory where he puts together valuable podcasting resources. The system is the lifeblood of your business. Focus on the basics first before you move onto the next thing. Know what they’re thinking, their fears, what they aspire to, and what makes them happy or angry. Dive deep into what your market is thinking. Get to know them better than they know themselves. Hang out with the water cooler. Hear what they’re saying through places where they speak their mind unguarded. (Facebook groups, forums, book reviews, etc.) This is imperative to your business. Focus on the output instead of the system. Keep in mind that no system is ever perfect. Start with a desired output and build your system around it. Have a quick checklist of what it looks like. Put that down on paper and feel free to tweak and change it. Don’t get bogged down with details. Focus on your end result. Be flexible how you get there. Apply this to your business and life in general.